Serum that protects the skin against damage from environmental stressors and neutralizes free radicals. Obagi Professional-C Serum 15% Protects the skin against free radicals which can make all the difference in the appearance of your complexion. 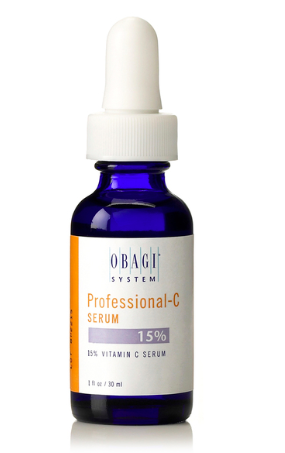 Obagi Professional C Serum 15% is an advanced serum that contains one of the most effective ingredients for protecting against free radicals: vitamin C. This ingredient also promotes natural collagen production to plump skin and reduce the look of fine lines and wrinkles. Adding this serum to your routine will promote a more even skin tone and an overall brighter complexion.